As bare-chested devotees keep the pot churning. and dry bark to keep chaff fires burning. cling stealthily to something close to yearning. a barbet calls, ‘the year is turning’. Poem © Keki N. Daruwalla; image © Merlin Moli. Keki N. Daruwalla writes poetry and fiction. He lives in Delhi. His novel Ancestral Affairs was recently published by Harper Collins. He won the Commonwealth Poetry Award (Asia) for his poetry volume Landscapes. 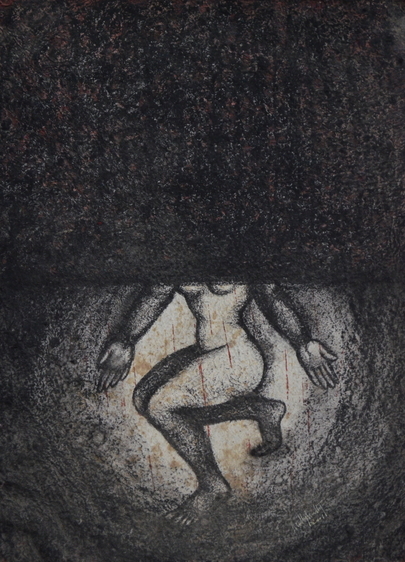 Merlin Moli is a Delhi-based artist. She has three decades of sculpting experience with various materials. She has participated in exhibitions both in India and elsewhere.